The event from Thursday, May 30, to Saturday, June 1, is expected to attract boat lovers from across the UK. It’s grown out of the All-Wales Boat Show that’s previously been staged in Conwy and Pwllheli. According to organiser Davina Carey-Evans, managing director of Beaumaris-based Sbarc Event Management, the showground is a great venue with huge potential to be developed while Anglesey is the perfect setting. The marine sector is growing faster in Wales than any other part of the UK and boating generates an annual tourism spend of £282 million. Davina, who has previously been involved with marine events such as the One Ton Cup, a world-renowned sailing event which was based in Pwllheli in 2001 and the annual Round Anglesey Race, said: “The All-Wales Boat Show has evolved and grown and the 2019 event will also include a strong leisure element. “The show will connect together industry leaders in boat and leisure products and services across Wales, with not only watersport and boating enthusiasts but all those that have a passion for the great outdoors. “The level of interest from the marine sector is unprecedented for the next event, with over 17 of the best-known brands already signed up. “Among them are Robalo, Bayliner, Finnmaster, and Ocean Master, to name a few. “We’re aiming for the enthusiasts in the middle of the market, we’re not going for the high-end multi-millionaire yachtsmen or women. “This event is designed for the people who tow their boats behind their cars, not to mention the kayakers, surfers, wakeboarders and scuba divers. These are the people who do it for the fun of it. “It’s going to be a must-visit for boat owners, water sport-lovers or families looking for a great day out. “Eighty 80 per cent of the people who come to Anglesey are repeat visitors, which means they probably have access to a boat and certainly have access to the water with all the available slipways. 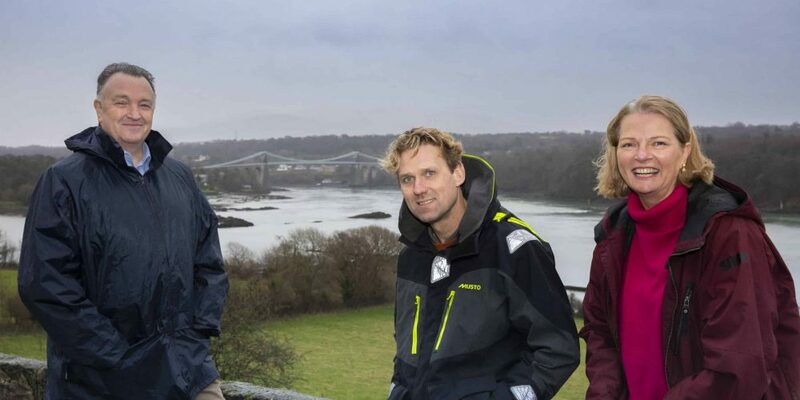 It was a sentiment endorsed by Phil Scott, who is chair of the Destination Anglesey Partnership and a Director of the award-winning RibRide Adventure Boat Tours, who are based in Menai Bridge. He said: “Anglesey is defined by its coastline so this is the perfect place for the event to be held. “We’re also very lucky to have Snowdon very close to us, and we always think of Anglesey as the best place to visit Snowdonia from. “RibRide has just recently been honoured as the best tourist attraction in North Wales at the Go North Wales Tourism Awards and we have also been named as the number one boat tour in the UK on Trip Advisor. Jim Jones, the Managing Director of North Wales Tourism, is equally excited. He said: “Maritime tourism is on the up here because North Wales generally and Anglesey specifically has so much to offer. It’s second to none. “We already have fantastic attractions on the Menai Strait, includingRibRide and the brilliant facilities at the National Outdoor Centre for Wales, Plas Menai, which excels in delivering the ultimate in water sports courses and outdoor adventure activities. .
“There is so much confidence in the industry, so much investment going into North Wales, and we’re now reaping the rewards.